Comprising over 700 islands, sparkling azure waters, secluded golden beaches, and a rich, incomparable culture, your trip to the Bahamas is guaranteed to be one of your most memorable holidays ever. There’s an astounding array of historic towns and gorgeous surroundings which you can spend your time exploring. Some unique activities you can take part in during your holiday include swimming with dolphins, stingrays, and the famous swimming pigs. The Ardastra Gardens, Zoo and Conservation Centre has been a premier attraction in Nassau since it opened in 1937 as just the gardens. It expanded exponentially over the years and is now best known for its flamingoes, which were brought in the 1950s for breeding purposes as they were becoming rarer. 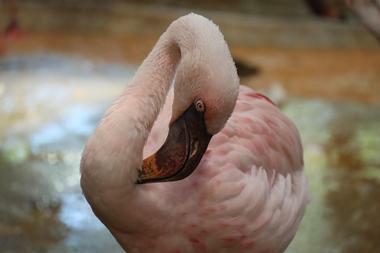 Now there are over 200 animals for visitors to see; in addition to their world-famous flamingoes, you’ll come across pigs, lemurs, iguanas, snakes, parrots, peacocks, and many other species of birds, reptiles, and mammals. It’s a great place for the entire family to visit as not only will you be able to meet the animals and see them thrive, you’ll also get to see fun shows and participate in feedings - a guaranteed unique experience for all! Experience the best of the Bahamas at Balmoral Island, a multifaceted private beach resort which is focused on providing a memorable, one-of-a-kind adventure for you and your family. You can spend your time there relaxing on the sun-kissed beaches, swimming in the azure waters, lounging by the swimming pool, or having a more unique experience encountering dolphins and stingrays. 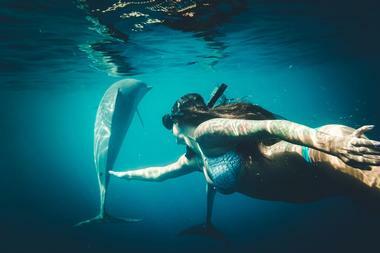 Snorkeling with the dolphins is a once in a lifetime opportunity and shouldn’t be missed. There’re tons of additional features such as games, a DJ, a boutique filled with souvenirs, several themed bars, and tons of food and drink for you to indulge in. 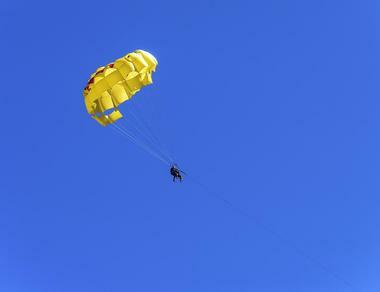 Explore the Grand Bahamas the way it was meant to be experienced with Calabash Eco Adventures. Owned and operated by Shamie Basil Rolle, who has over twenty years of experience in diving, water sports, and eco-tourism, the adventure company offers an array of land and water activities which you can enjoy while learning about the diverse and rich history of your surroundings. Adventures you can choose from include sightseeing, biking, kayaking, snorkeling, bird watching, and more uniquely, cavern diving. Create your own combination of things to see and do ensuring that you have an amazing time experience what you’re interested in. Clifton Heritage Park was established in 2004 by the Clifton Heritage Authority as a means of preserving and displaying the rich and important history of the area and the groups who made an impact there: the Africans, the Lucayans, and the Loyalists. Over the years, the park has also become home to a number of outdoor activities which includes an extensive array of winding trails that will take you through a number of ecosystems like coastal wetlands, cliffs, rocky shorelines, dunes, and sandy beaches. You’ll also be able to enjoy fishing, swimming, snorkeling, boating, picnicking, camping, and bird watching. Dolphin Cay Atlantis is an eco-tourist attraction which gives visitors an opportunity to safely encounter several marine animals in their natural habitat while also providing fun water sports and activities. You can play with sea lions, hang with the dolphins, or become a trainer yourself for a day. The amazing dolphin interaction includes 30 minutes of time in water, wetsuits, beach towels, and a personal photographer to take pictures of your memorable time. Other activities offered include Sunrise Fitness which offers a variety of exercise regimens such as power snorkeling and total core strengthening, snorkeling with the Ruins of Atlantis, paddle boarding, kayaking, and much more. Spanning nearly a hundred acres, Fort Charlotte is the largest of its kind in New Providence. The fort sits on a hill at the end of the harbor and provides a panoramic view of Paradise Island, Nassau, and the surroundings. The fort was built by Lord Dunmore in 1788 and comprises several dungeons, a moat, underground passageways, and forty-two cannons. There are several local tour guides which you’ll come across there who’ll be more than happy to take you through the fort, point out unique features, and give you a complete history. Depending on when you’re there, you may be also to witness a live performance featuring characters in period costumes, exhibits basket weaving techniques, and much more. Fort Fincastle was built in 1793 by Lord Dunmore, who was a colonial governor in the American colonies and the Bahamas. 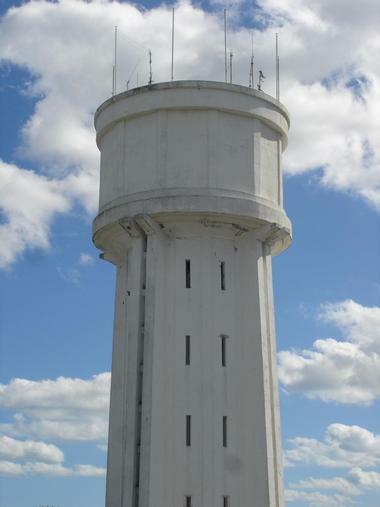 The fort, which is shaped like a paddle-steamer, is a popular attraction with visitors as it gives them unparalleled views of the Queen’s Staircase and the city of Nassau. 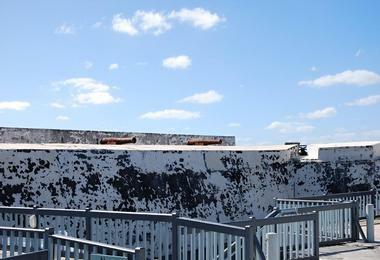 There are daily guided tours of the limestone structure conducted by knowledgeable professionals who can give you an in-depth look at the fort, its history, and the role it played in Nassau’s past. It’s a wonderful place to spend the day with friends and family as you take in the lovely sights that surround you. 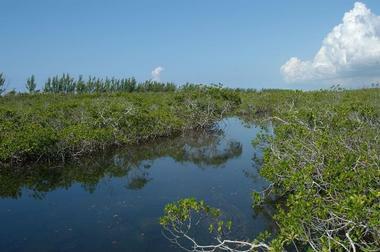 Lucayan National Park was established in 1977 and is one of three national parks located on Grand Bahama Island. 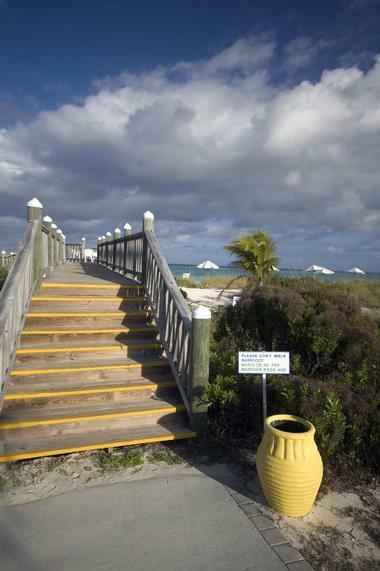 The park lets you explore their wetlands and sand dunes through extensive elevated walkways. The nature trails and boardwalks will take you through a variety of ecosystems and leads to a beach. There are several picnic tables scattered across the beach for you to relax on and enjoy a picnic. You can also explore their stunning underwater cave system, which is one of the largest in the world. 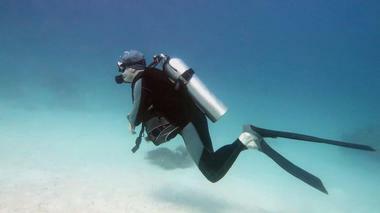 Though swimming is not allowed in the caves, you can obtain a special permit to go diving in its unique waters. 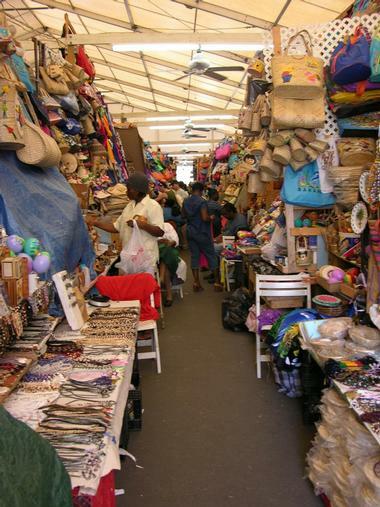 Nassau Straw Market is a traditional open-air market which is filled with a number of trinkets and souvenirs that are perfect for yourself or to take as gifts for friends and family back home. Take a stroll down the famous native Straw Market and experience one of the country’s oldest industries come to life. It’s common to see throngs of tourists looking through all the interesting items, bargaining with vendors, and just having a good time as they purchase unique handmade products. You’ll find people weaving straw into anything and everything such as hats, bags, jewelry, and much more. The National Art Gallery of The Bahamas is a world-class museum that collects, preserves, and exhibits historic and contemporary Bahamian art. It was the first institution of its kind in the history of The Bahamas and now has four spaces: the permanent exhibition, monthly interventions, and two temporary exhibition spaces. The museum is housed in a mansion built in the 1860s, the Villa Doyle, and is considered one of Nassau’s prized stately homes. Guided tours are held on certain days of the week by their knowledgeable and experienced staff and will take you through several different exhibits and displays before ending at the museum store where you can purchase items by local artisans. Out Island Explorers is an experienced and knowledgeable company that gives adventurous visitors the opportunity to safely explore The Bahamas through several outdoor activities. 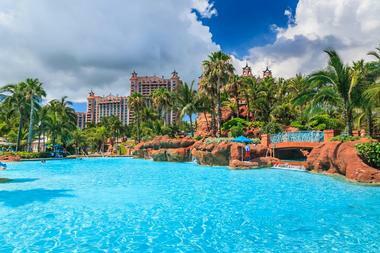 It has been identified as the “#1 Experience in the Bahamas” by Lonely Planet and CNN. 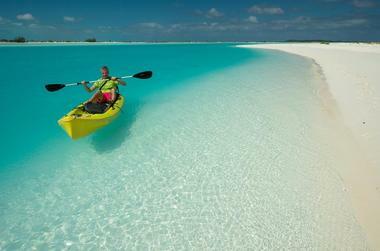 You can choose to go kayaking in one of the best ocean locations, getting up close with the beautiful Exuma Cays. 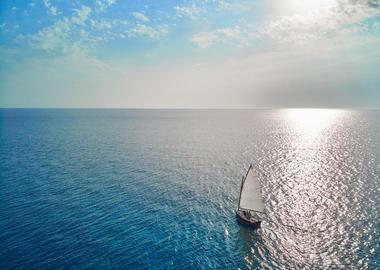 View dolphins, turtles, and stingrays in their natural habitat by sailing on their 21’ Sea Pearl sailboat that allows you to go to places that are otherwise inaccessible. You can even opt for a private charter for a customized day trip and try your hand at line or spear fishing - the opportunities are endless. 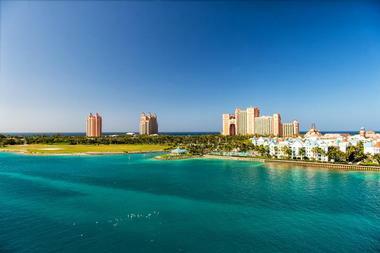 Nassau’s Paradise Island has so much for you to see, do, and experience while you’re there, no matter what interests you. Hidden between the Caribbean and the Atlantic Ocean, the island is rich in history and has been home to everyone from runaway lovers and freed slaves to rum smugglers and pirates. You’ll be able to swim and sun bathe on some of the best beaches in the world or partake in water activities such as scuba diving or exploring underwater shipwrecks. Spend your days taking in the beautiful sights and learning about the area’s history and culture, while your nights are filled with memorable nightlife and casino experiences. The premier parasail provider in the Bahamas, Adventure Parasail gives you the opportunity to fly over some of the most beautiful sights in the world. 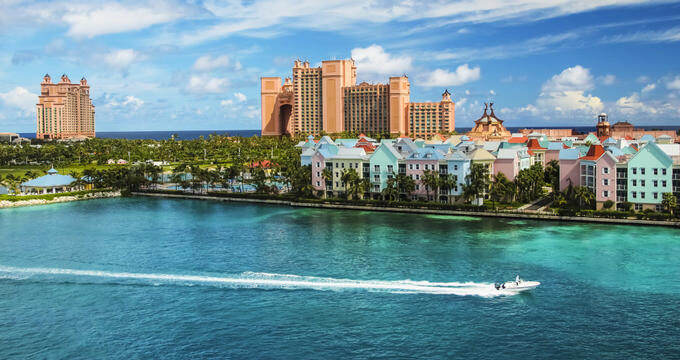 You will soar 400 feet about Paradise Island and historic Nassau Harbour, which will let you take in a bird’s eye view of the breathtaking beauty of your surroundings. Guests are met at one of their many pick up locations and taken to the departure point via boat, so be sure to dress practically. The experienced and professional staff will guide you every step of the way, ensuring that you have a memorable experience during your vacation in the Bahamas. A part of the Atlantis Paradise Island hotel, the Aquaventure water park offers a one-of-a-kind experience in its 141-acre playground. There are so many attractions and features, ensuring that guests of all ages have something fun and exciting for them to do. You’ll be able to splash around in one of the eleven refreshing swimming pools, fly down high-speed water slides, or go on a mile-long river ride complete with waves and rapids. The kid’s water-play fort is spectacular and has age-appropriate features for them to enjoy. You’ll be sure to experience an extreme level of excitement and an aquaventure like no other. 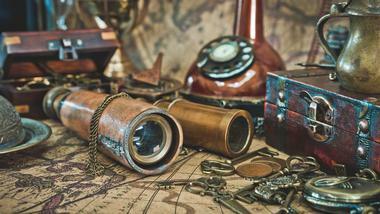 Pirates of Nassau is an interactive pirate experience that takes you back to the year 1716. You’ll find yourself in the heart of Olde Towne Nassau where your adventure begins with a moonlit dock surrounded by azure waters and taverns filled with celebrating pirates. You’ll explore the shanty town, the Quay Side, get marooned or made “governor of your own island” as pirates call it, and will learn about the pirate’s flag as it instills fear in your heart. Afterwards, celebrate your piracy at Smugglers outdoor cafe where you can feast on a local favorite, their signature conch salad. 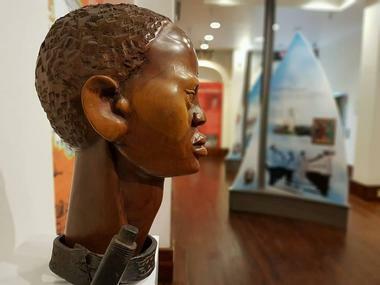 Established in 1992, the Pompey Museum of Slavery & Emancipation is a wealth of knowledge, making it a great place for visitors to learn about the history of the Bahamas. It is named after a courageous slave, Pompey, and is housed in the historic Vendue House. You will learn about slavery, which was an integral part of the land’s heritage, and culture, and the museum memorializes this history for future generations to learn about it. The building itself was used as a place to sell commodities and enslaved Africans, functioning as a marketplace until the late 1800s. 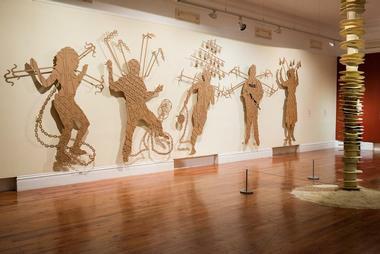 The experience is eye opening and enjoyed by people of all ages. 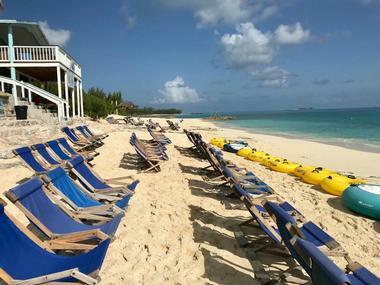 Located on the uninhabited Rose Island, Sandy Toes offers a private island experience via just a fifteen-minute boat ride away from Nassau. You can spend the day relaxing in your own private beach paradise, swim with the pigs, go snorkeling in the azure waters, and dance the night away in their exclusive beach party. You can choose to stay in their luxury villa, away from the hustle and bustle of the mainland, and surrounded by the warm, secluded island. Additional activities you can participate in include getting massages, going bird watching and wildlife viewing, beachcombing, shelling, kayaking, fishing, swimming, water tubing, or boating. Seahorse Sail and Snorkel Adventure offers an array of tours and outdoor activities that visitors of all ages will enjoy. Sail the beautiful waters of Nassau with experienced, knowledgeable, and fun guides that will take you on an exciting journey through the clear waters and lush reefs. 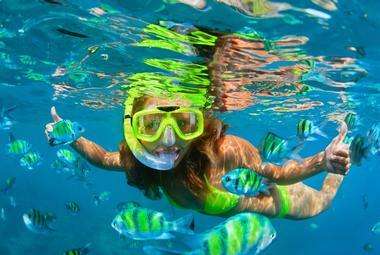 You can go snorkeling - all equipment and instructions will be provided to ensure you have a fantastic time. Afterwards, enjoy run and fruit punch on the warm, sandy beaches while you take in the wonderful sights that surround you. Other tours include a Sunset Dinner Cruise and the Nassau Land & Sea Tour. For a premier nature experience in the Grand Bahamas, head to the Garden of the Groves. 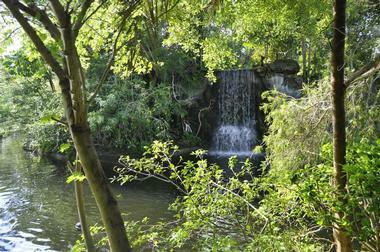 You’ll be able to walk through and explore the lush vegetation, sparkling fountains, and cascading waterfalls. On site, you’ll also find several flowers, shrubs, and other flora which are visited by several indigenous and migratory butterflies and birds throughout the year. Explore the picturesque chapel, which is favored as a peaceful meditation and prayer space, and the Garden Shops. There’s several classes, tours, and workshops, on the arts, aquaponics, and much more, Afterwards, have a delicious meal at the Garden Cafe and Bar while younger visitors enjoy the newly expanded playground. The Heritage Museum of the Bahamas specializes in Bahamian history and has tons of artifacts focused on local culture, history, garments, and local goods. It is located in Heritage Village at Graycliff, where you can walk through the streets that resemble times from the past. You’ll be able to explore the Sisters of Charity Convent, the former Mountbatten home, and much more. The museum has several pieces such as fossils, relics, and treasures that explore the days of Columbus, slavery, plantation life, and the piracy era; you’ll even be able to see a 4.5 billion-year-old slice of meteorite. 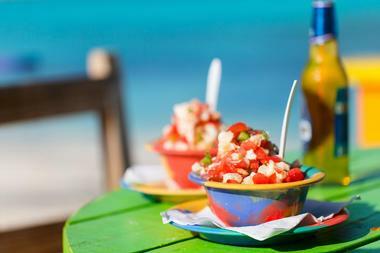 Eat, drink, and discover the Bahamas like the locals know it with Tru Bahamian Food Tours. You’ll learn about the city’s fascinating history while you take your taste buds on a culinary journey that was influenced by flavors from all over the world. Tru Bahamian ensures that your guide will be experienced and fun as they introduce the small groups to authentic Bahamian food that is sure to delight you. Their Bites of Nassau Food Tasting & Cultural Walking Tour lasts three hours and is popular option for those who’d enjoy eating their way through Nassau’s vibrant downtown neighborhood. No trip to the Bahamas is complete without a thrilling jet boat experience that is sure to get your adrenaline pumping. Bahamas Jet Boat is once such establishment that provides the thrills and spills via a high-speed water ride in a responsible and safe manner. 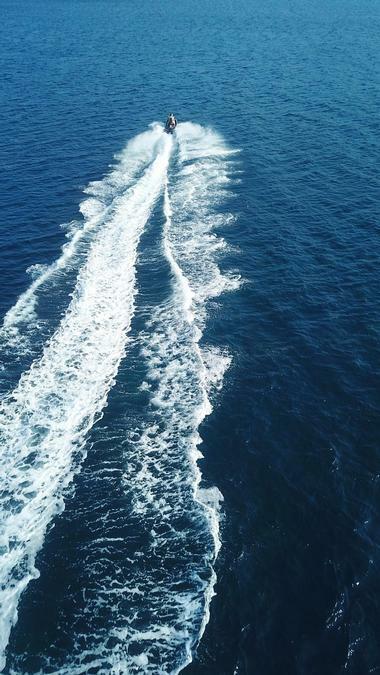 You can get on board and take in the amazing scenery and have a unique sea experience like no other. Though there are no minimum age requirements, all riders must be over four feet tall, and it is guaranteed that you’ll get wet on your adventure so please prepare accordingly. 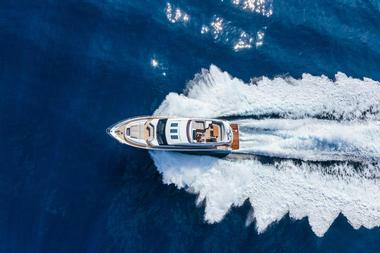 Visitors are invited on to a 24-passenger boat that can accommodate single riders to large groups of family and friends. The Graycliff Cigar Company was founded by Enrico Garzaroli and his family in 1997 when he fell in love with cigars but couldn’t find the perfect one to complement their hotel and restaurant which was known for being refined and luxurious. To start, he introduced a single cigar roller in the foyer of the restaurant; they are now an award-winning boutique cigar company that has sixteen master rollers, each of whom is proficient in the art of cigar rolling. 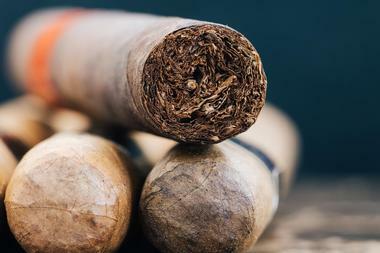 You will be able to witness, firsthand, the skill and passion necessary in rolling a cigar. 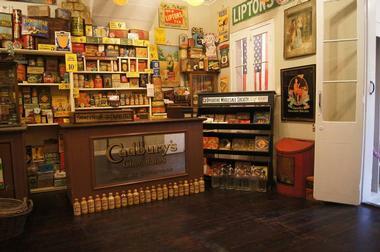 You can also take a cigar rolling lesson or unwind with a cigar and rum pairing. Composed of experienced professionals who have spent years exploring the land and getting to know each aspect of it, Columbus Isle Excursions ensure that you have an amazing time exploring the Bahamas. They have many tours for you to choose from including cruising along the coast of San Salvador and having a delightful signature lobster lunch on remote Grotto Beach or going on a guided tour of Pigeon Creek on a comfortable pontoon boat. One of their most popular activities with visitors of all ages is kite surfing, where you can see views of the lagoon and the magnificent turquoise waters from high up in the air. 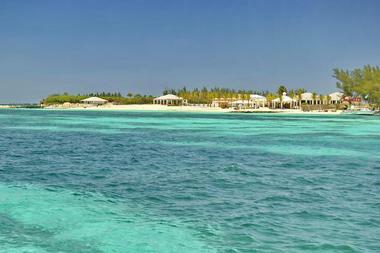 Harbour Safaris is Nassau’s #1 pig beach excursion, taking you through places such as Pig Beach and the Spanish Wells. It is one of the best ways to see swimming pigs - these unique animals love meeting people from all over the world. You’ll zoom through the Exuma Cays as you stop to see other animals such as the Bahamian Rock Iguanas. After seeing the world-famous swimming pigs, you’ll stop by the amazing Staniel Cay Yacht Club where you can enjoy a delicious lunch as you see sting rays and sharks swim up around you. Tours vary and can last up to eight or nine hours.